Ahed Tamimi, a 16-year-old Palestinian girl, was taken in the dead of night by Israeli soldiers. She is a Palestinian high school student who has grown up under occupation in the small town of Nabi Saleh, known for its weekly nonviolent marches against occupation and settler encroachment. Ahed was arrested after a video that her mother, Nariman, took went viral, showing an altercation with soldiers trying to enter their house. 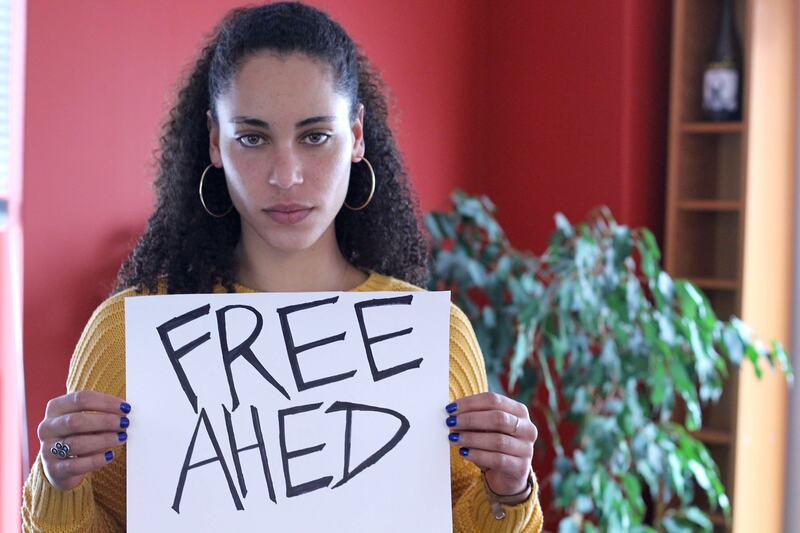 Ahed’s mother is being charged with incitement for posting the video. 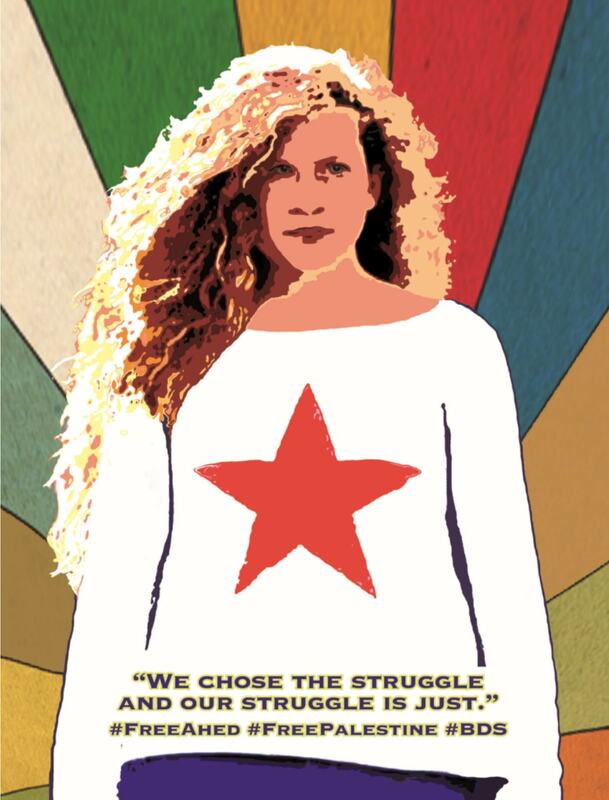 Ahed Tamimi is accused of slapping a soldier and faces 12 charges in Israel’s military court, which has a conviction rate of 99%. 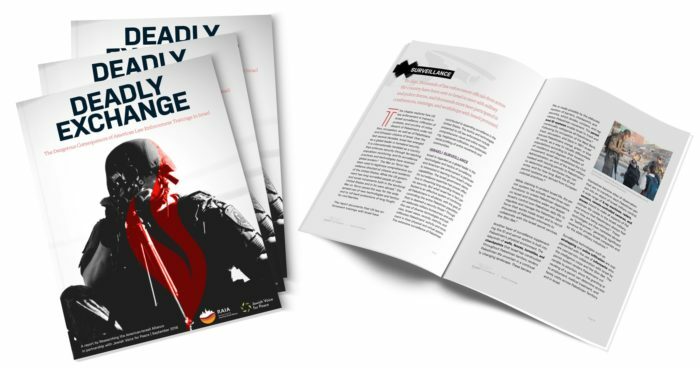 Israel systematically prosecutes as many as 700 children in military courts each year. And according to Defense for Children International-Palestine, three out of four are subject to physical violence. Email your Representative about the Promoting Human Rights by Ending Israeli Military Detention of Palestinian Children Act, H.R. 4391. 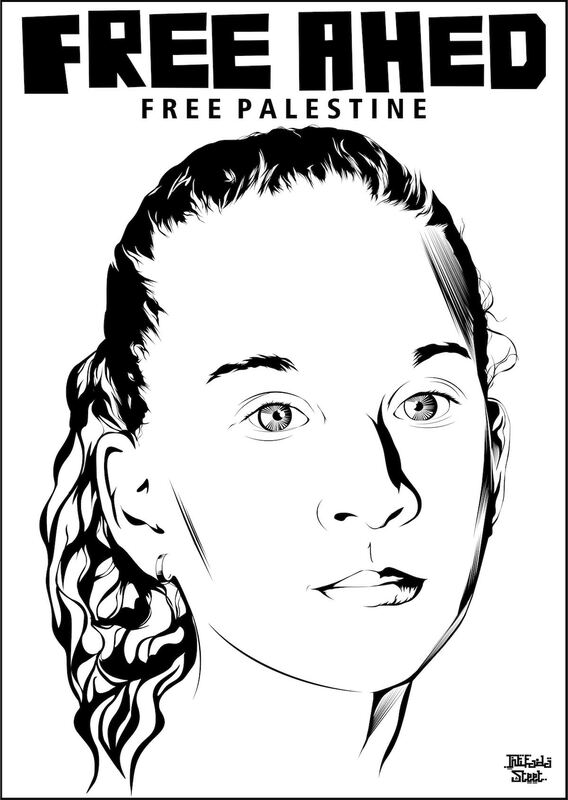 If you support Ahed, you can post your picture holding a #FreeAhed sign and you can download the posters for use in your community below. View all of the poster sizes here.